That audible sigh of exhaustion coming from your DVR can only mean one thing: TV is back, baby! More than three dozen series returned from hiatus or debuted their first-ever episodes this week, and we’ve curated the most memorable dialogue for our latest Quotes of the Week gallery. This time around, we’ve got Good Trouble‘s shout-out to a Reese Witherspoon classic, a Bachelor contestant giving herself props, a fashionable disagreement on Fam‘s series premiere and Emma Stone’s impromptu apology at the 76th annual Golden Globes. 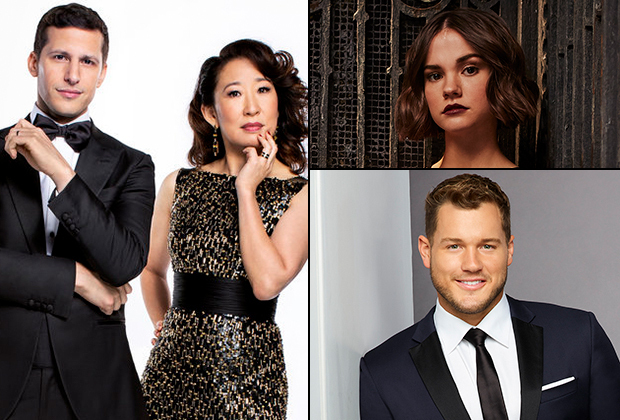 Also featured in this week’s roundup: double doses of The Kids Are Alright and Brooklyn Nine-Nine, plus sound bites from NCIS, Gotham, Single Parents and more.